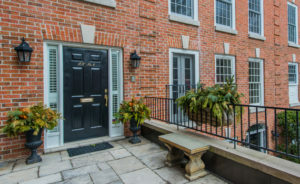 This Stately Georgian Townhome Community Is Situated In Prestigious South Rosedale. The Subway Shops And Restaurants Are Within Easy Walking Distance. The Residents Enjoy Beautifully Landscaped Gardens And Carefree Living . This Elegant Home Has Been Meticulously Maintained. This Home Boasts Of All New Windows, California Shutters, And Closet Organizers. Enjoy Entertaining In The Large Formal Principal Rms, Kitchen And Bathrooms Have Been Renovated.